What Are The Causes Of Transverse Baby Position? What Are The Transverse Lie Positions? What Are The Risks For The Baby In Transverse Lie? How To Turn A Baby From Transverse Lie? As your pregnancy progresses, the baby starts to grow and move around inside the belly. When they move and sometimes kick you, the joy you experience is priceless. Most babies are usually active and tend to move and turn around in the uterus throughout the pregnancy. As pregnancy progresses towards its last stage, most of the babies settle down in a head down position. But some babies take up the not so common positions, one of which is the transverse lie. This MomJunction post tells you about the causes and types of transverse lie positions, its risks, and other details. When the baby lies horizontally in the uterus, instead of ideal vertical or head-down position, it is called a transverse or longitudinal lie. In simple terms, it can be said that the baby is lying sideways, with its head either on the left or right side of the uterus. It is rare and could occur in one among 300 pregnancy cases (1). The position is normal during the initial stages of pregnancy or till 26 weeks. However, it could be considered abnormal when the due date is nearing. With the baby in such a position, it is not possible to go for a normal delivery. The baby may come to the sideways position due to different reasons. Excess amniotic fluid: Polyhydramnios or too much of amniotic fluid in the womb could increase the chances of fetal malposition. The average level of amniotic fluid is 800ml in the 34th week. However, it should be 600ml when the baby is developed. Otherwise, the baby could move sideways and get into a transverse lie position (2). Twin pregnancy: During a twin pregnancy, the second twin usually comes to a transverse lie position once the first twin is delivered (3). Multiple pregnancies: Grand multipara is the term given when a woman has given birth to more than two times. This is also one of the causes of a baby’s transverse lie position (4). However, these kinds of cases have dropped in recent times. Placenta previa: It is the condition when the placenta blocks the uterus, and so the baby comes to a transverse position (5). Fetopelvic disproportion: It is the condition when the fetal head is unable to pass through the mother’s pelvis. And so the fetal position can change from normal to transverse (4). The doctor or midwife would assess your baby’s position with proper diagnosis. Fundal height is less than what it should be. The fetal head is in iliac fossa (part of the hip bone) at some higher level. The heart rate of the fetus is heard below the umbilicus. Vaginal examination in early and late stages of pregnancy, through the cervix, could also confirm the fetal transverse position. The ultrasound also confirms the same. The exact transverse lie position of the fetus can be determined through shoulder presentations. As the transverse lie position is not considered normal, there could be certain risks when delivering the baby. It is not possible for a natural or vaginal delivery when the baby is in transverse lie. Along with that, there could be other risks too. Diminished oxygen supply: The position decreases the flow of oxygen to the baby, which requires immediate delivery through C-section to ensure the baby survives (8). 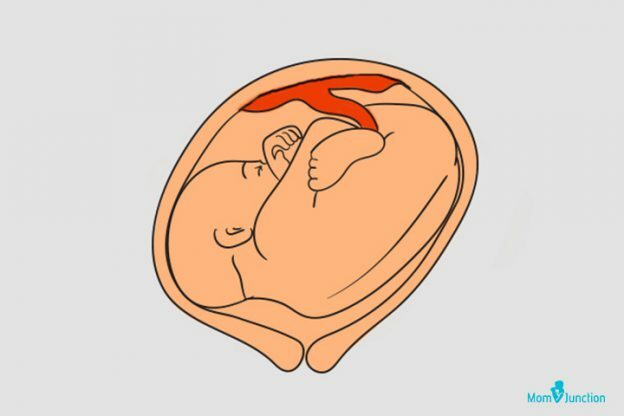 Uterine rupture: The baby’s side position is an abnormal presentation, and there could be chances of the uterus being ruptured. Prolapsed umbilical cord: The baby’s transverse position could cause the umbilical cord to drop into the birth canal. This could be risky for the baby, because of which doctors go with the c-section delivery to bring out the baby safely (9). Infections: Cesarean delivery, rupture of membranes, and such complications due to transverse could be responsible for infections. 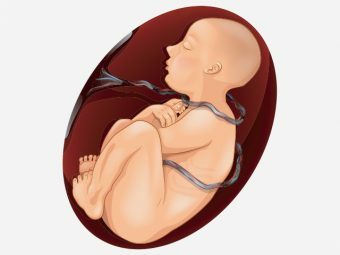 Umbilical cord compression: Stretching and twisting of the umbilical cord could compress the fetus when in a transverse position, which is harmful to the baby. This could also reduce the oxygen and blood flow to the fetus. To keep away the risks associated with the transverse lie position of the fetus, doctors could try to turn the baby to a different and safe position. If the transverse position has been detected in the early stages or before the baby has settled down, there are some ways through which the baby can be turned. However, these are performed only on the doctor’s advice, based on your medical condition. Chiropractic care: One of the chiropractic techniques, termed as the Webster technique, could help turn the baby from the transverse lie position to the vertex or head down position. There is no pressure exerted on the baby during the procedure, which is considered to be effective and safe (10). Massage: Some abdominal massage techniques can re-position your baby from sideways to normal head down position. This will help the baby to come into alignment for delivery. Pulsatilla: It is a homeopathy therapy that is known to help change the position of the transverse and breech babies (11). However, only a professional knows the right technique to perform this massage. External cephalic version: The method is used by the doctors to shift the position of the baby from transverse to head down. This technique is performed during or around 37 weeks or much before the labor starts (12). Forward leaning inversion: This exercise can shift the position of the baby. 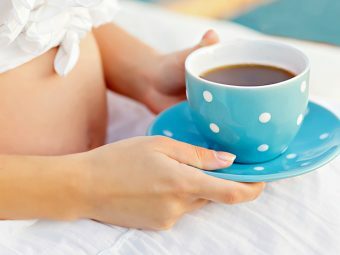 However, it can be performed only in a healthy pregnancy and with the doctor’s approval. Some common questions regarding transverse lie are answered in the next section. 1. What happens if the baby cannot be turned? If the professionals and doctors are not able to turn the transverse position of the baby to a head down position, they will go with a cesarean, which can safely bring out the baby into the world. 2. What happens if I am having twins? In case the first twin is lying in a transverse position, doctors usually perform a c-section. However, if the first twin is delivered normal, then the second twin might come to a transverse position. In this case, doctors try to turn the second baby through internal (manual intrauterine procedure to change transverse lie to breech) or external cephalic version and then decide whether or not to schedule c-section (4). 3. How long can a baby stay in the transverse lie position? Most of the babies settle down in a normal position or the head-down position by the end of the second trimester or beginning of the third trimester. It is usually between 28 to 30 weeks. 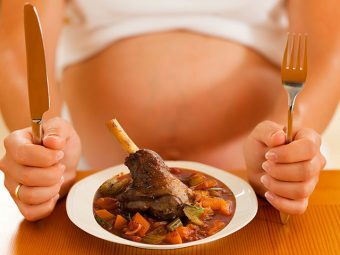 However, some babies also move around after the beginning of the third trimester, and tend to take the normal position by the 31st or 34th week. If they do not come to a normal position, they can stay transverse up to the last stage too. The transverse lie position of the baby is not considered normal, and hence vaginal delivery is not possible. 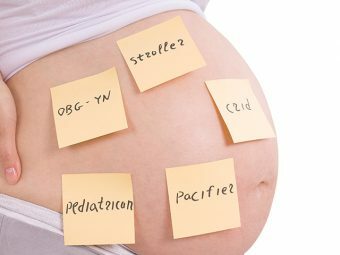 Prenatal care is essential at every stage of pregnancy to assess your baby’s position. In case any abnormalities in position are discovered in the initial stages, there are ways to solve the issue and prepare for safe delivery. Was your baby in transverse lie position? How was your experience with it? Do share with us in the comment section below. 6. Ali R, Abrar A. Transverse lie; predisposing factors, maternal and perinatal outcome. Professional Med J Apr-Jun 2011;18(2): 208-211.